Thanks for the update. It’s so wonderful to hear of the love and interaction between the two little guys! Isa sounds like a God send, and adored by both Chamberlain and Sullivan. 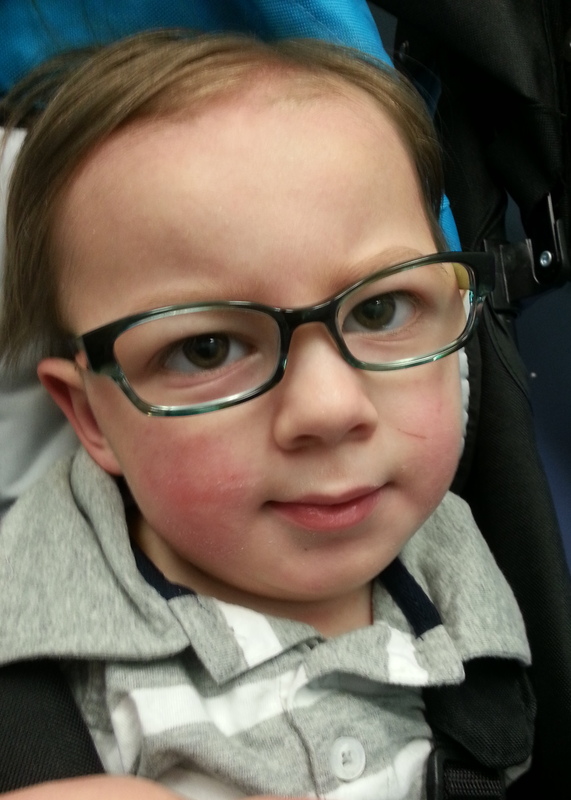 Hope the coming days prove helpful with the seizures and the glasses will help open the surrounding world to our precious Chamberlain! Chamberlain is so handsome in his glasses!!! Congratulations! And welcome, Sullivan! 🙂 I’m so glad your family is doing well! Those glasses are adorable!! He’s looking like such a little man!